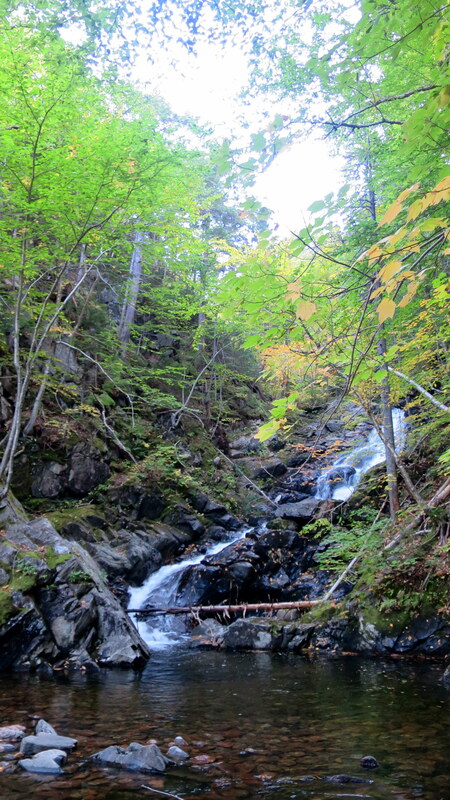 The MacIntosh Brook Trail is a short trail through Acadian old-growth forest that leads to a smallish waterfall before looping back. 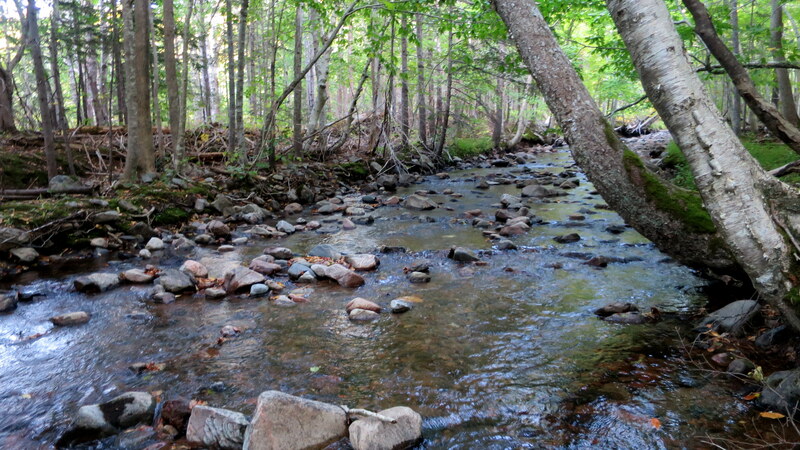 Most of the trail follows the brook, with two crossings, following the strip of birch trees that line the banks. 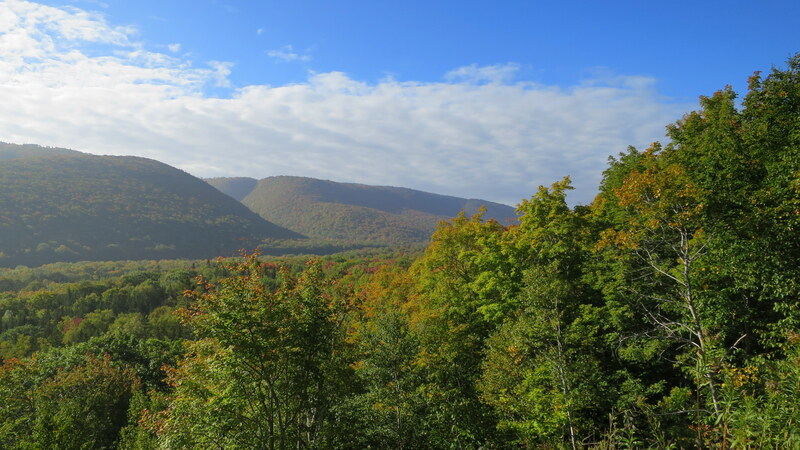 The afternoon sun filtering trough the breaks in the canopy lit the birch leaves a golden yellow, giving the valley forest a wonderful warm glow. 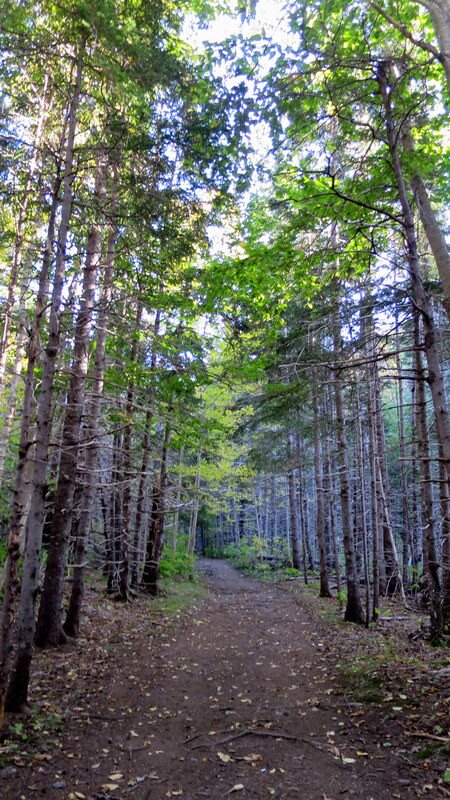 Close to MacIntosh Brook is an even shorter trail that features a sample of old growth hardwoods, some over 350 years old, which happens to be the largest contiguous tract in the maritime provinces. 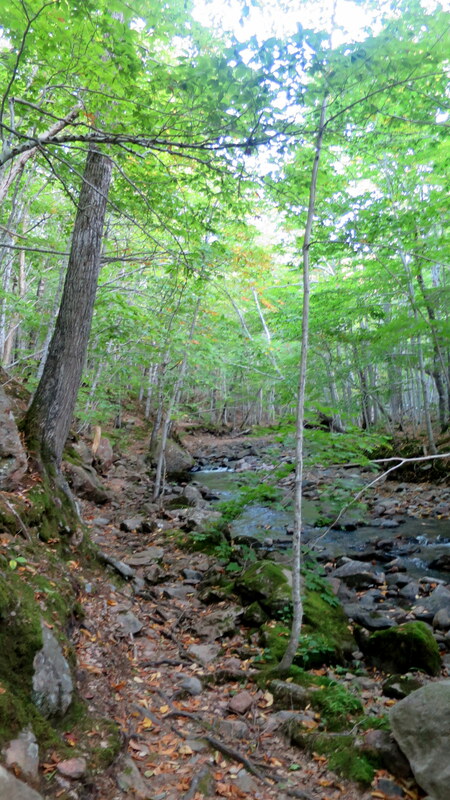 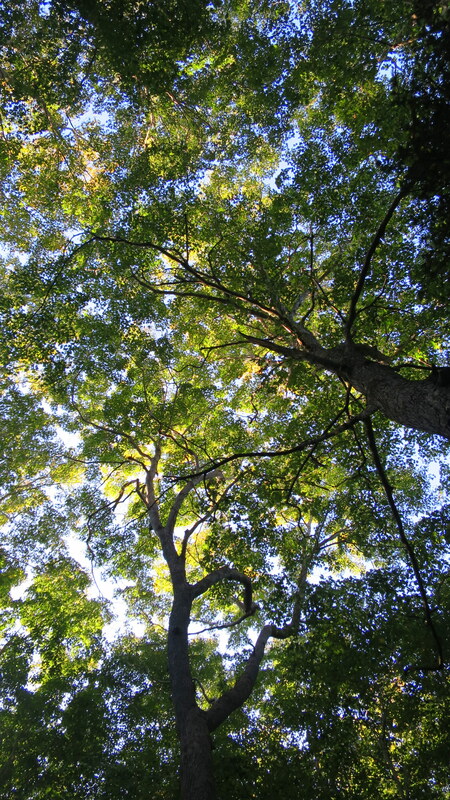 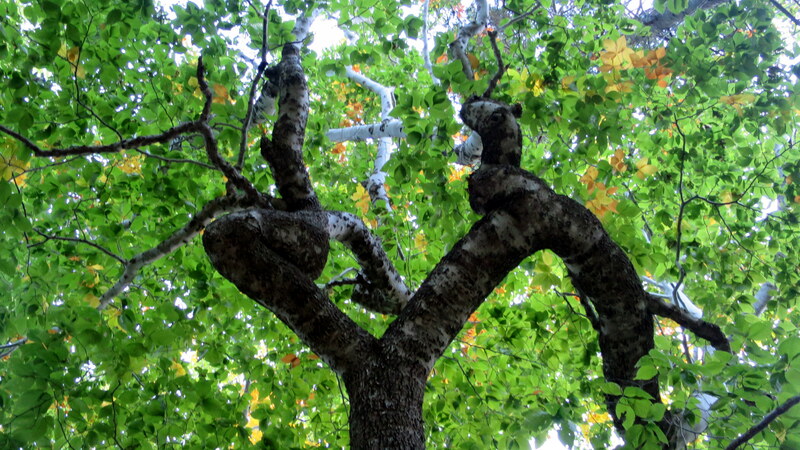 Many of the trees here such as sugar maple, white ash, red oak, and striped maple, are at the northern limits of their survival, able to survive only because of the temperate Grande Anse Valley that’s rich in soil and tempered by the Bay of St. Lawrence. 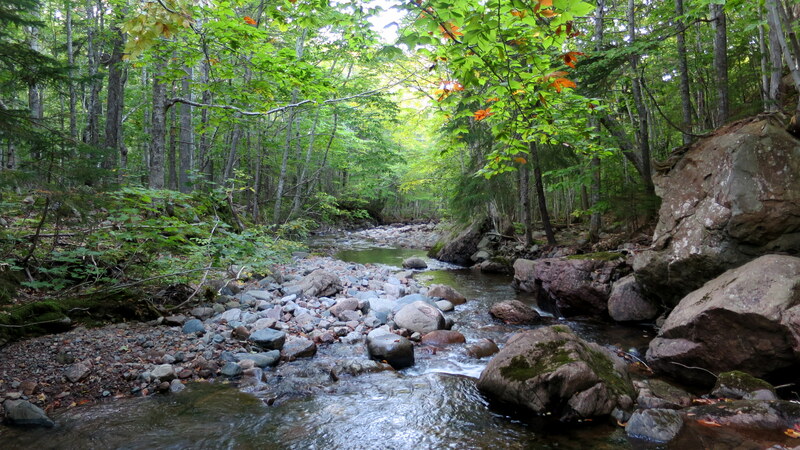 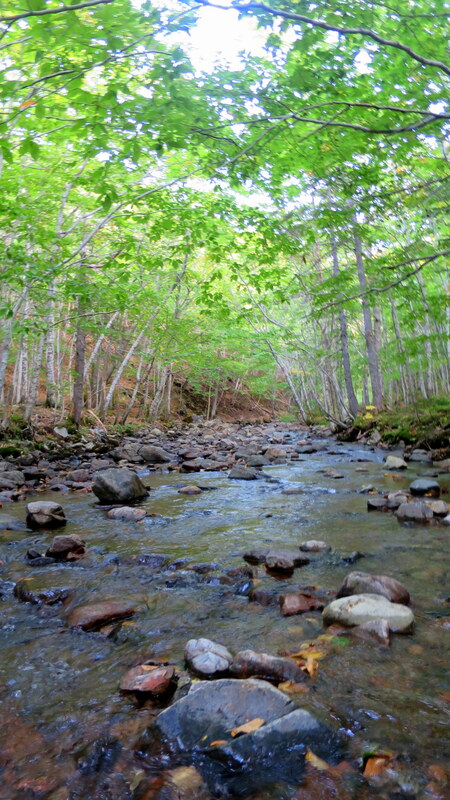 The Grande Anse, like all of the deep hanging valleys in Cape Breton, were carved by glaciers and provide micro-climates important to ecological diversity on the island. 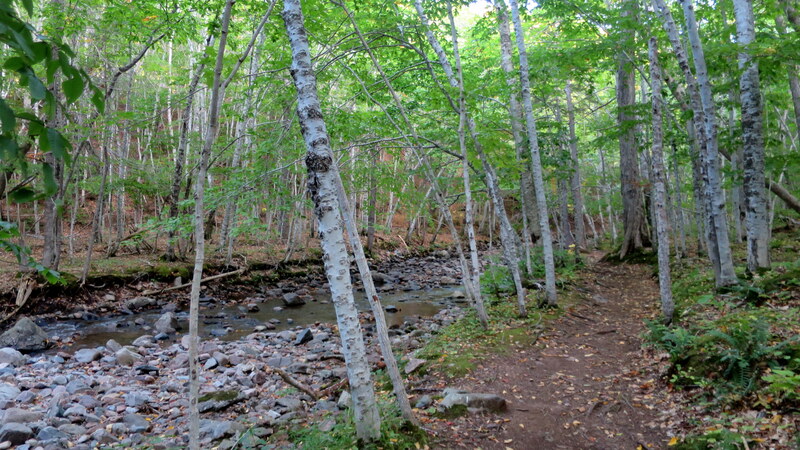 From the trail its possible to spot a few sugar maples which dominate the valley, but the birch prevalent in this area of the island are more ubiquitous. 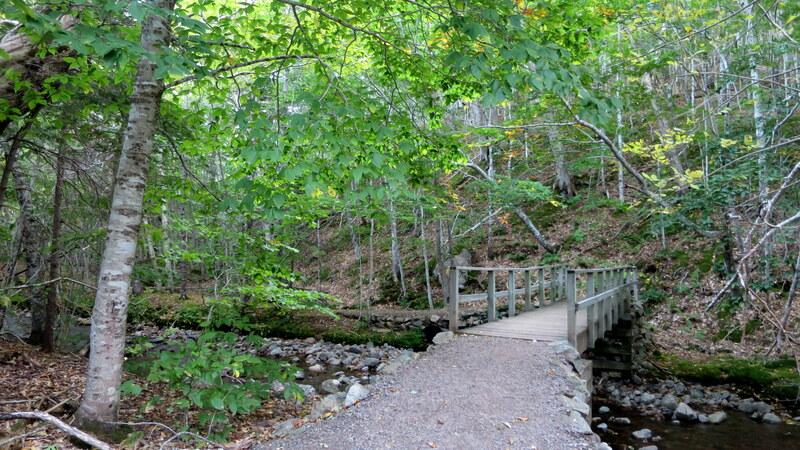 The secondary feature of the trail is a replica of a traditional shepherd or crofters hut, common to the Western Scottish Highlands and a form brought to the island by 19th century Scottish immigrants. 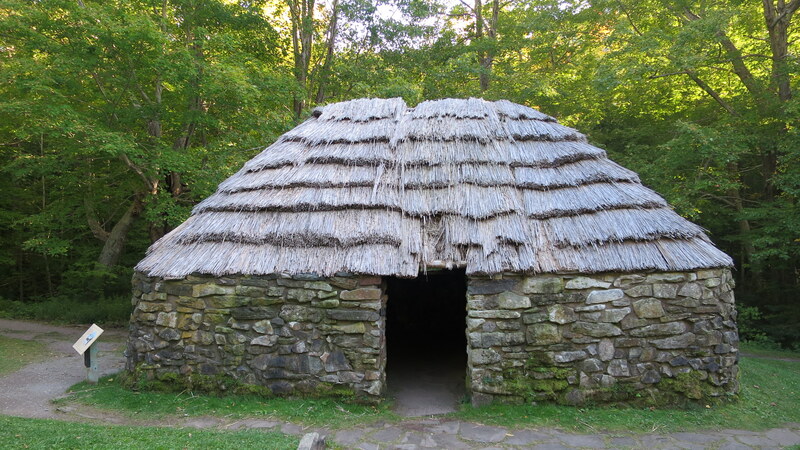 These huts huts served as shelter for tenant farmers (called crofters) while grazing their sheep in distant fields prior to the enactment of the enclosure laws in the United Kingdom which stripped farmers’ permission to use the commons.